It’s race week for the Real Life Runner household and with that comes this week’s episode on pre-race anxiety. The episode gives us a chance to discuss the concept, talk about our own emotions heading into the upcoming race, and cover some methods of calming the nerves. We start with a major point that everyone is going to have some feelings connected to an upcoming race. It is simply natural to have an emotional reaction when a big event is coming. What is under your control is not the feeling, but the name you give the feeling and the response to it. Instead of nervous, rename the feeling excitement. This works the same way that fatigue in a race can be interpreted and a sign you are running fast enough. Next we discuss the causes for extra anxiety during the week before a race. The list is lengthy as to why a race could be given greater importance, but it comes down to expectations. Racing is an unknown and when expectations are high, the unknown is usually larger. This could be from a cheering crowd, a higher level of competition, a goal time you have told others, or simply a long time since your last race. By controlling your expectations, the anxiety can be controlled a little as well. The episode then dives into personal feelings about the upcoming race and becomes a podcast therapy session. Kevin covers how most of the list of reasons to have extra anxiety apply to him but he is doing his best to simply be excited. Angie talks about how she tends to run best when she does not put any big goals on her races. She has a desire to run her personal best, but fully accepts that she is in better shape than the race she ran about a year ago. Ultimately, she wants to show what she is capable of and hopes this race gives her the chance. In the final portion of the show, we cover four major points about what to do to deal with pre-race anxiety. Have a plan for the week, and especially the couple of days before the race. This plan should include a regular running routine and eating habits. Major changes should be avoided and this means taking as much control as you can. You may need to bring your own breakfast to a hotel for a destination race. If you are not comfortable with exactly what is being provided for fuel in a longer race, then you need to have your own and practice using it during the months before the race. The week before the race should have some speed. While you are not gaining an major adaptations from race week workouts, taking the entire week as relaxed easy runs can end up with your legs feeling stiff, tired and heavy on race day. A couple general ideas include short repeats at your race pace or surges placed throughout a run. This week Angie ran 1 minute on/3 minutes easy for a few miles on Tuesday, while Kevin hit 2 minutes on/2 minutes easy on Monday. Both of us will go with race pace half mile repeats with a half mile recovery on Thursday. Look back over what you have accomplished in the prior three to six months. Angie has a wonderful thought about how a race is a celebration of the training that you have been undergoing, so enjoy it. By taking the time to look back, it can solidify your belief in your preparation and it can remind you that this race is just one step in a long running journey. Fully accept that racing means risking. If you are going to accomplish anything difficult, you must be willing to fail in your attempt. Setting multiple goals depending on how well things are going during the race helps you stay satisfied and pursuing a goal even when the top line has slipped out of reach. By acknowledging that the race is an experiment rather than a judgement of your personal worth, the level of anxiety can begin to shrink. So that’s it. Be excited, have a plan, and see the race as an experiment on the lifelong running journey you are taking. And don’t forget to fuel. Come find us on Facebook and Instagram and say hi! 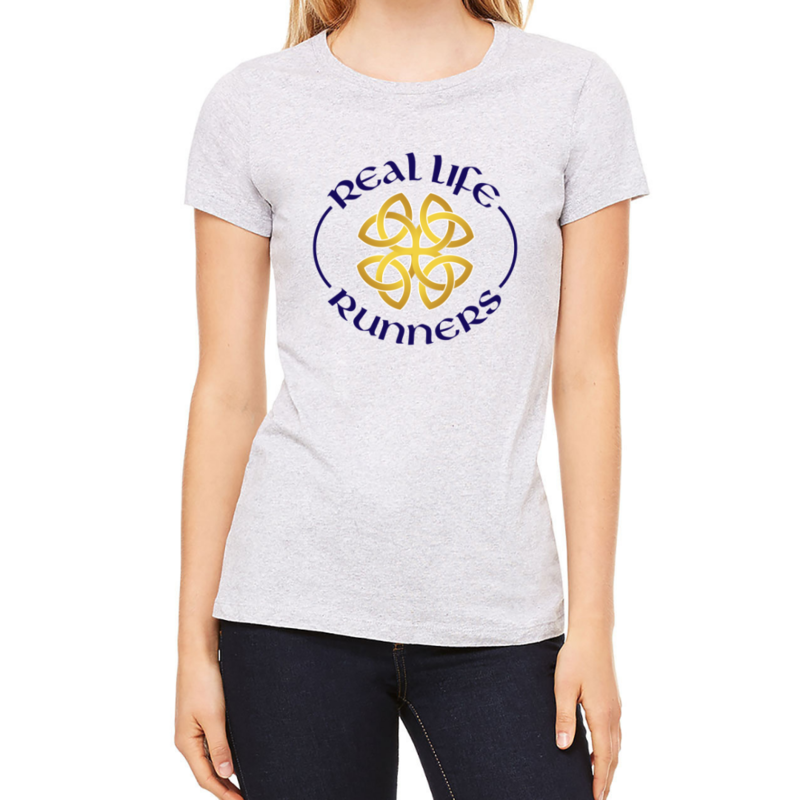 There is an Instagram page for the show @realliferunners, and we each have a personal account now - follow Kevin @kevinbrown.rlr or Angie @angiebrown.rlr to see what they're up to in running and life!